Reading Clarice Lispector is an act of courage. It is an act of courage not because her writing is hermetic or pretentious, but because Clarice dares to reveal our raw nakedness while roping us unwittingly and unbeknownst to us. We are, then, pulled into the obscure depths of our minds, our existential madness and chaos. 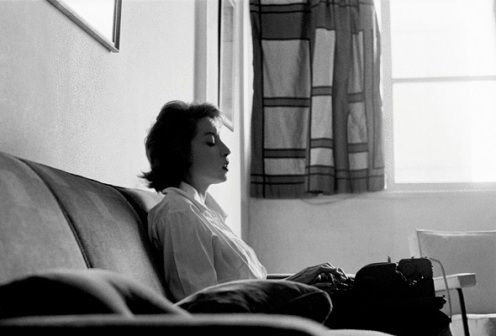 Lispector’s writing is simple and it reaches the reader directly without adornments or unnecessary linguistic pretentiousness. It is never shallow or naïve, however. It delves into the soul of man and exposes the chaotic nature of mankind’s uncompromising determination to unravel the mysteries of the cycles of life and death, and the ensuing implications of questioning the mind and the seeming reality of things. As a writer, Lispector is not afraid to lay bare the existential conflicts and paradoxical ethics inherent in all individuals bonded as a group by moral agreements previously established. In her novel The Passion According to G.H. (published in 1964), Clarice Lispector dares to cross that invisible line that restrains all attempts to traverse the divide separating the material from the immaterial, the world of forms from the world of the spirit. 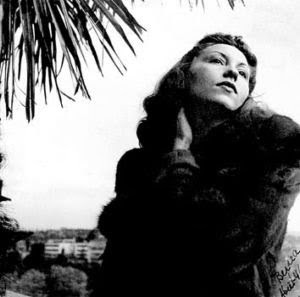 It is in that sphere that Lispector concocts her literary libation and weaves the complex pathos that brings forth the verbiage of the inner life of her character in an incessant monologue, an outburst of the stream of consciousness. Clarice becomes a phenomenologist of her own characters conducting investigations that surreptitiously reach our own perceptions. To read this book is an act of religious exercise; a profound mystical experience takes place within the reader as we let go of the awkward moments every time we relate to the strangeness and initially ludicrous madness. 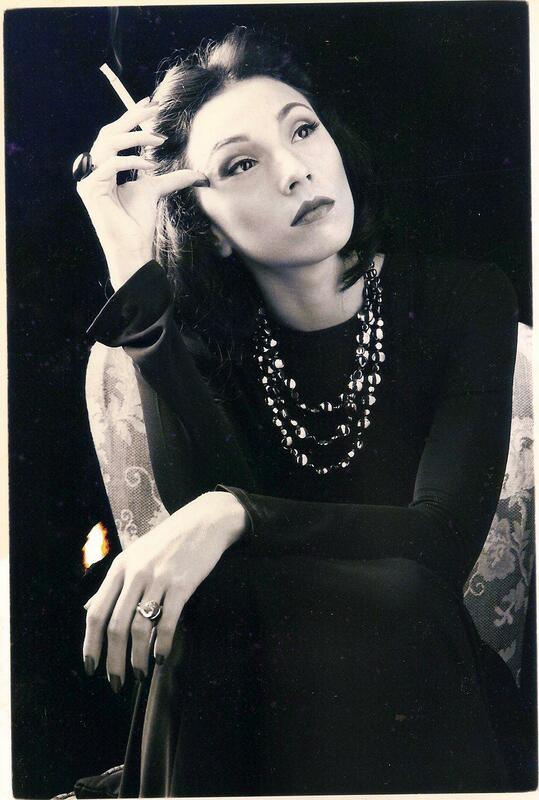 Clarice Lispector was born Chaya Lispector in a small town in Ukraine. Her parents and sister changed their names when they arrived in Brazil, fleeing oppression in their native country for being Jewish. They had suffered extreme persecution in their region and Clarice’s mother had been raped during one of the many pogroms. Marieta, her mother, contracted syphilis and believed that if she became pregnant she would heal. When Marieta died, Clarice was only 9 years old and the family was living in Recife, after a brief period in Maceió. After Marietas’s death, Pedro, her husband, decided to take Clarice and her sister Elisa to Rio de Janeiro in search of a better life. In Rio Clarice attended Law School and started her career as a writer, writing chronicles for a newspaper. She married a Brazilian diplomat and lived abroad for 15 years both in the USA and Europe. 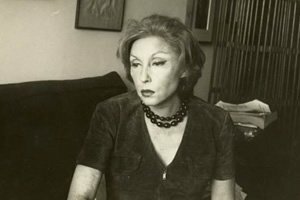 Those who are fortunate to read Clarice Lispector in her original language, Portuguese, will marvel at her ability to create extensive monologues rich in painstaking observations of the human mind and soul. 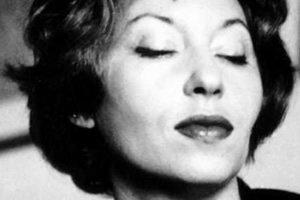 However, the many translations of Lispector’s work have done her justice and provide the foreign reader with the opportunity to immerse into a literary experience to be remembered. Clarice Lispector starts her novel with a little introductory note to her “possible readers”. She states that this book is like any other book but that she would be happy if it would be read only by people whose souls are already formed. It is quite a significant warning. It brings to mind the inscription at the entrance of Dante’s Inferno, line 9, Canto 3: “Abandon all hope ye who enter here”. It serves as an indication of what lies ahead waiting for the unsuspecting and unprepared reader. Clarice dives deep into the soul of her character, and by doing so it splits us open and bares our contradictory emotions and inner world liberating us from false Christian moralities. She calls for the redemption of the human spirit; redemption through sacrifice of all that seemed familiar and under our control. G.H. is the quintessential iconoclast. She is the live goat offered in sacrifice on the day of our atonement. As in the Hindu triad, G.H. 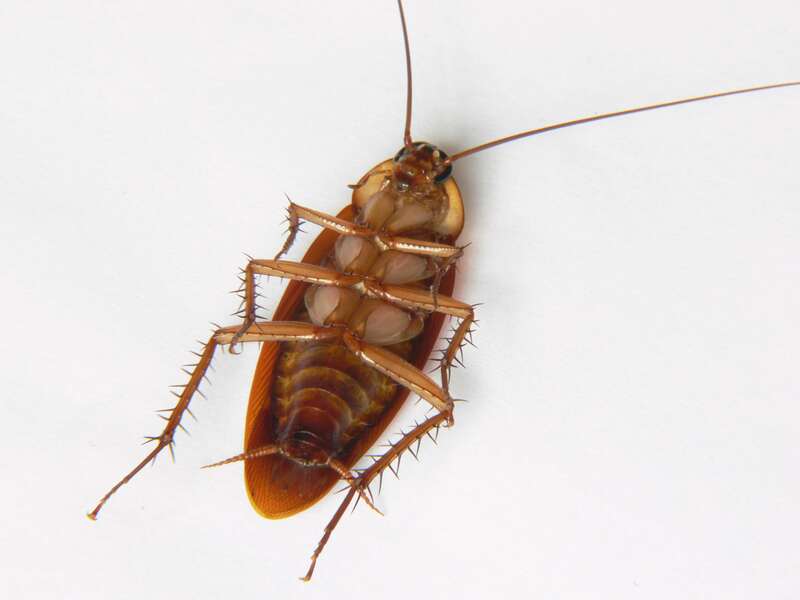 incarnates the force of Shiva, the destroyer and transformer by becoming one with the cockroach, the element responsible for her mystical experience and transformation. The sun invading the room is the source of creation itself as Brahma; the maid’s room as the preserver of forms in the figure of Vishnu. In this sense, the essence of life takes place, the essence of religion. One needs courage to follow Clarice as those Argonauts had the courage to follow Jason in his quest to find the Golden Fleece. It is a risky journey filled with perils and challenges to be overcome. G.H. found herself face to face with her humanity and embraced her shadow not without fear or pain. We too feel the pestilence. We too get infected and experience the pustulous virulence wreaking its havoc in our bodies and minds, leaving us in a state of torpor and death. I too feel sick; my strength and life force evanescing languidly in that white room where G.H. met her destiny. In the Passion according to G.H., the main character is confronted with her own pestilence. It is her moment to purge herself, but in order to get to this point she needs to cross the deep, murky waters of the rivers Acheron and Styx in the company of Charon. G.H. will traverse the rivers and enter the land of the damned souls; the ones who dared to touch the ignoble side of life and became contemptible and degraded. She had torn down the veil of ignorance and chased away the vendors in front of the temple just like Jesus once did. As you immerse yourself into the world of G.H. you are possessed by powers that run so deep that you feel your body burning with fever as the virus consumes everything you knew until then. You need to be patient and let the virus complete its cycle so that the cleansing can take place within you, only then redemption can be achieved. It is the trust that you will be renewed, transfigured, rewired. Old dogmas and distorted beliefs no longer have a place in your heart. All ideas of what you’ve thought you were are surrendered to the chaos and the pestilence covering your soul. You embrace the pestilence within, the essence of what lies behind the cover, the shadow of your soul. Then you unleash the monster that you’ve become. It has always been there. You unite both sides and you let the beast run wild and free, and true, at last. Like G.H., we also become one with the cockroach. We become one with the mud, with the repugnant and despicable part of ourselves. The initials G.H. is not only the name of the main character but also stands for “Gênero Humano” (Humankind or Human Species.). It is not randomly that Lispector chose the name for her character this way. It is a mystical, philosophical and existential narrative. It is not by chance that G.H. goes through her existential and mystical crisis in the maid’s room. The social tensions between the relationship of boss and house servant within the context of Brazilian social classes is much heated and goes back to the time of slavery. G.H. is the white and dominant element in the household. Janair, the maid, is present throughout the narrative and she becomes the driving force that propels G.H. into the whirlwind of internal dialogue that will eventually redeem her. Janair has the presence of silences and empty spaces bearing much weight in her seemingly anonymous presence. The maid becomes the ruler of the house, the one that exposes the awkwardness and artificial happiness of her “mistress”. These are two different worlds living under the same roof but apart from each other. The co-dependency and condescending relationship engenders a series of unspoken emotions. G.H. comes face-to-face with the implications of this surreptitious dynamics when she enters the maid’s room and finds the drawing in the wall. Race and social class is a convergent topic in Brazil. From the top of her upper middle class penthouse the main character observes the slums in the distance. To me, Clarice Lispector is a hurricane that whisks you away with violence and trepidation without much warning. She forces the reader to come to terms with the ugliness of reality and find redemption in their shadow. It’s a journey through hell in a literal sense. One must find solace in the company of a “helping hand”, in the case of G.H, or the presence of the poet Virgil in the case of Dante. Either way, one must have the safety of a friend that will anchor our spirit against the madness that surrounds us; in our case, Clarice is ever present by our side. If we brave through the darkness and face our demons, the vision of reality becomes soft and embraceable for we see nature for what it is, without the veils of superstition and mystic illusions. 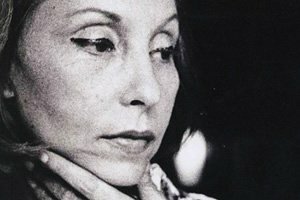 As a writer in Brazil, Clarice Lispector was loved and hated. For many, she seemed too obscure and enigmatic; for others, she was a celebrated priestess and goddess. In her real life she kept a low profile and seemed unpredictable and provocative. American writer Benjamin Moser fell in love with Clarice and went on to write a biography of this Brazilian writer titled “Why This World”. Brazil was entering one of the darkest periods of its history in 1964, the year The Passion According to G.H. was published. The coup d’état led by the Armed Forces would initiate a military dictatorship that would last for 21 years. Censorship, persecution and torture would then become the elements of a stifling regime that would provide a model for other military regimes and dictatorships throughout Latin America. Artists and writers became the bastion of resistance to the cost of their own liberty, and many times their lives. During this time, Brazil experienced one of the most creative periods in the Arts. As it is always the case, it’s through suffering and pain that the artist becomes more necessary as a revolutionary voice that tries to keep the freedom of their people alive in a heroic attempt to save humanity from the chaos of extinction and misery. We owe to them the right to keep our voices heard and our spirit intact. To me, Clarice is a force to be reckoned with. She is a magnificent writer and a beautiful and charming and mesmerizing woman. We get to know her slowly. She reveals herself delicately. We miss her forever. Clarice Lispector is one of those writers, like Franz Kafka, that need to be known and read world-wide. It is only by spending time with these minds that we get a glimpse of our own chaotic humanity. We only hope that readers will become acquainted with the world of Clarice and dare to investigate their worlds as they embark into the journey that will lead them to liberation from the constraints of outdated and pedestrian belief systems. Maybe this way, by changing our world, we can attempt to change the world at large one page at a time. Wow. I am Brazilian and have not read Clarice as much as I should. And now I feel I must! Now it’s the time, then. I believe that each writer comes into our lives at an opportune time. Clarice requires from her reader nothing more than the placid introspection and curiosity of a child watching the rain for the first time. Her narrative is simple but the reader must be open and willing to listen to the resonance of her words within. It is, in my opinion, an act of meditation and engaged reflection. I am sure anyone will benefit immensely from letting Clarice into their lives. Thank you for reading my post and for your pertinent comment.